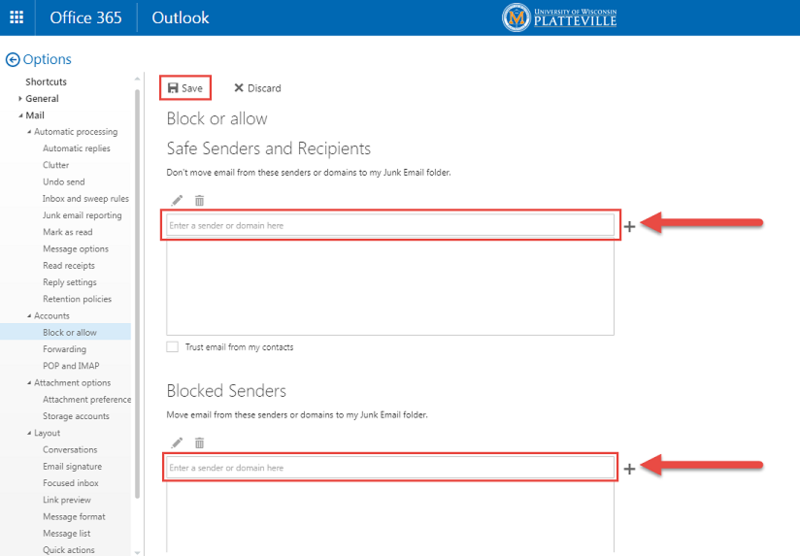 Instructions for adding an address to the safe senders or blocked list in the Office Web App. 1. Login to the Outlook Web App (OWA) and open your email. 2. Select the gear icon in the upper right corner to open Settings. 3. 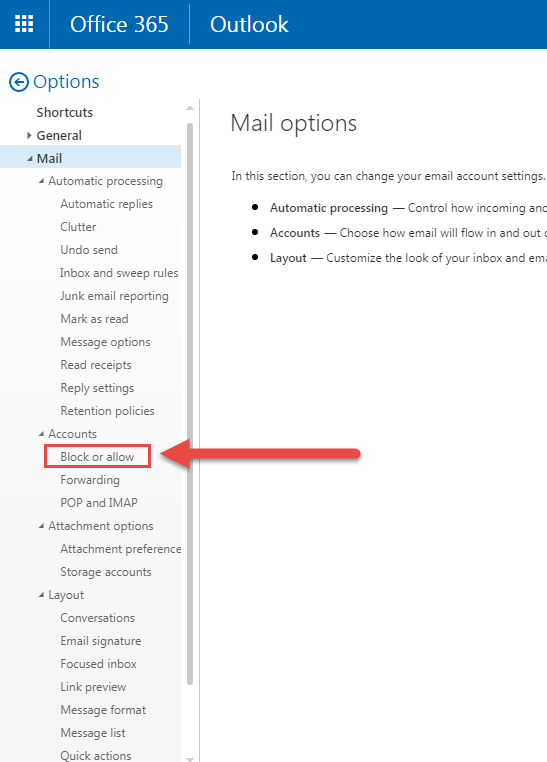 Choose Mail from the Settings box that opens. 4. On the left side of the window, choose Block or allow from the Options menu. 6. Click Save above the text fields.